I love to paint and I love detail. Put those two loves together and there is an increased risk to overwork a piece. Here, I have left out some of my precious detail and kept my edges a wee bit ragged allowing more room for interpretation. If you’d like to have your personal copy of the Painting of the Week sent directly to your desktop every Wednesday morning please write me at daniele@DanieleLemieux.com. 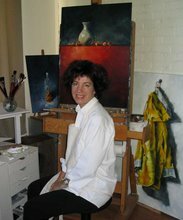 I’m a Canadian artist based in Montreal Quebec. 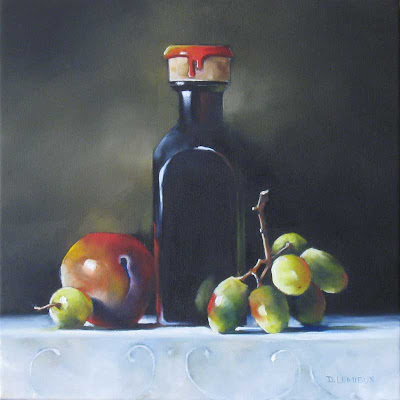 I paint still life in oils and my work can be seen in major market galleries across Canada.